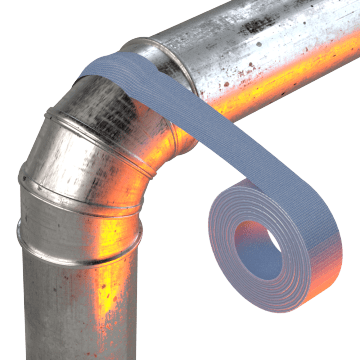 Strong, tacky duct tape adheres securely for bundling, patching, sealing, and reinforcing objects and surfaces around the home, office, or jobsite. Also called duck tape, it flexes to conform to curved or irregular surfaces without curling and can be torn by hand, so there's no need to cut it. Use general purpose duct tape to take care of everyday packaging, repair, and maintenance tasks that don't require specialized tape. 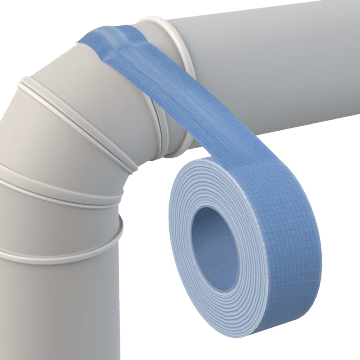 Improve the efficiency of your HVAC system by sealing joints and seams in flexible air ducts with this duct tape to prevent air leaks. 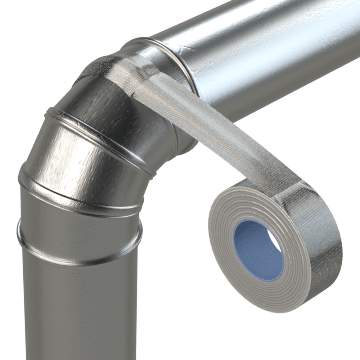 It meets UL standards for Class 1 flexible air ducts and connectors. 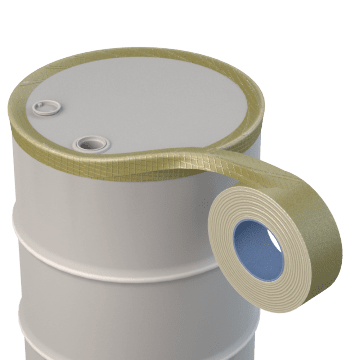 Stop moisture from getting through taped seams and joints with this water-resistant military-grade tape, which meets ASTM specifications for pressure-sensitive tape used in packaging, box closure, and sealing applications. It has a water-insoluble adhesive and maintains a firm hold when exposed to high temperatures, moisture, and solvents. It's commonly used for moisture-proofing canisters, tubing, and cartons. Rely on nuclear grade duct tape to withstand tough indoor and outdoor conditions. Designed for use in harsh environments such as nuclear power plants, steel mills, and shipyards, it resists abrasion, moisture, and UV rays. 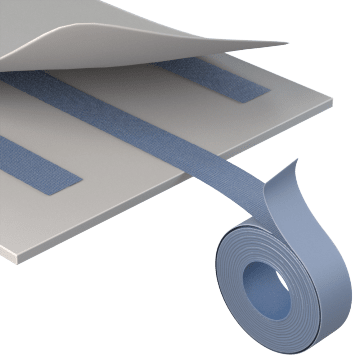 The tape leaves little or no adhesive residue on most surfaces when removed within 6 months of application, making it ideal for temporary repairs. Commonly used for sealing, bundling, splicing, and industrial masking applications. 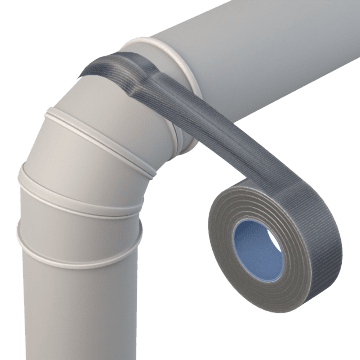 Help ensure your duct tape stays in place in outdoor construction, bundling, draping, and repair projects. This duct tape resists UV rays and avoids breaking down and peeling off in applications where it is exposed to direct sunlight. 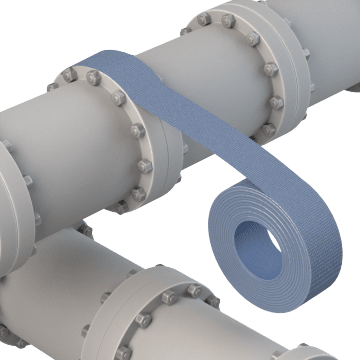 Seal joints and seams when installing ductwork or reflective insulation material using this metalized duct tape. It resists heat and won't degrade when exposed to UV rays. The tape's backing matches the color of sheet metal, flexible ductwork, and duct board to blend in with surfaces. 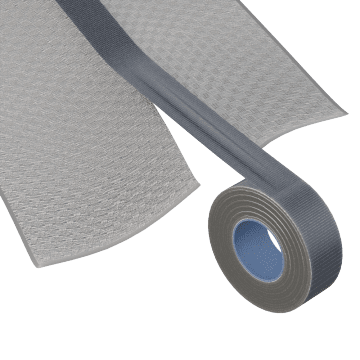 This duct tape's self-extinguishing adhesive helps prevent the spread of flames and meets FAA (Federal Aviation Administration) standards for flame-resistant aircraft cabin, cargo, and compartment materials. Use it for applications that require flame-retardant materials, such as sealing ductwork, insulating wiring, and other high-temperature tasks in the aerospace, HVAC, automotive, and electrical industries. Join two surfaces or objects together with this double-sided duct tape. 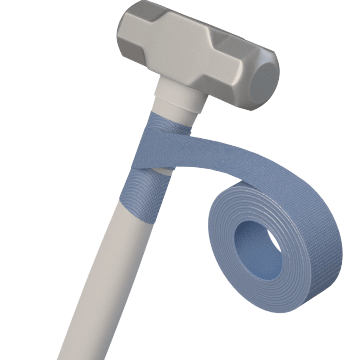 Good for mounting, splicing, hanging, and other applications that require tape with adhesive on both sides.